Historically, oil and gas companies have archived their data off to tape and stored it in offsite storage. If a company needs to use the data again, they are usually happy to wait for days or weeks to get access to the data they want. Happy may not be the emotion, maybe just resigned to how long things take. For oil companies, time is usually not something they like to waste, but with data there has been a long history of waiting in the oil sector that has somehow become the norm. Private cloud data management solutions are being dumped at a record pace to adopt public cloud solutions with open architectures. The open architectures then allow for restricted and highly secure, but ready access to the new technology being built in the industry. The use of public cloud is now fully acceptable to oil and gas companies and data in record amounts are flowing into the public cloud and out of private clouds all over the world. It is safe to say that any oil company that wants to be able to use big data and analytics tools is going to need to stop putting data into private cloud, and pivot to keep pace with the technology being developed for the public cloud. Tape Ark has set its sights high with a plan to liberate the world’s second largest collection of data – that which is on tape in offsite vaults and in private clouds. Moving this data to the public cloud is seen as essential by the Tape Ark team to allow new technology sets in big data and analytics to put this data to use. If the applications can not touch the data, they can’t derive the extra value that these new tool sets can deliver. 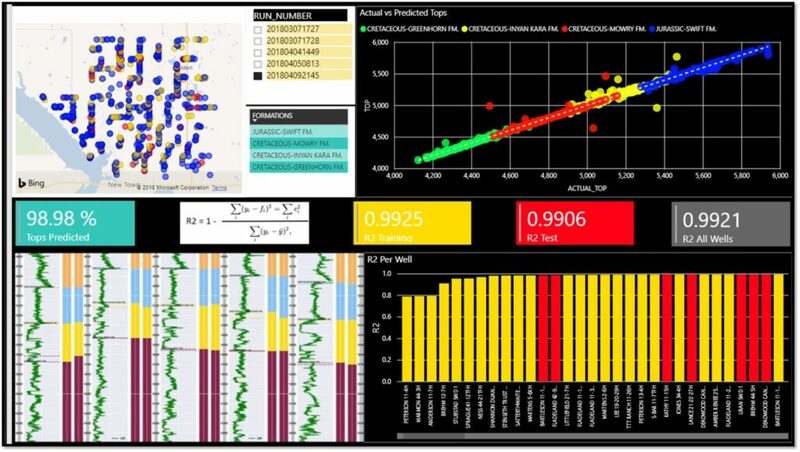 dataVediK’s mission is to solve Oil & Gas business problems by blending machine learning techniques with E&P domain expertise and delivering solutions embedded in Geoscience, Production and Drilling workflows. 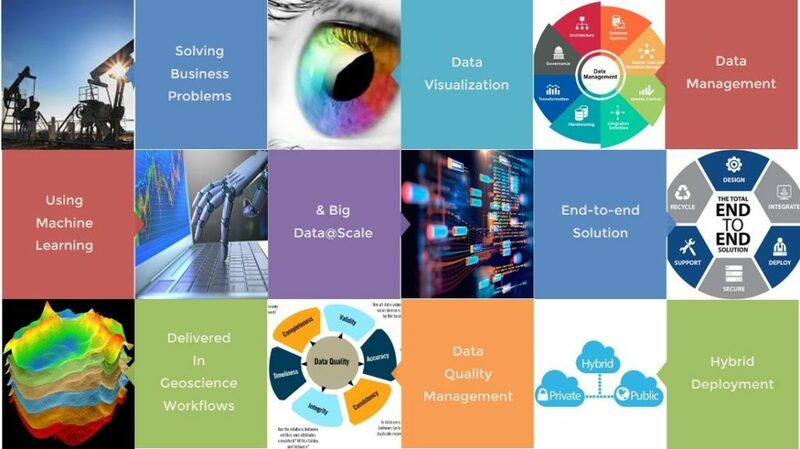 dataVediK also combines the Big data processing techniques with principles of data management & data quality management (DQM) to deliver end-to-end solutions using innovative user-centric visualization with flexible deployment architectures including public-cloud, on-premises and hybrid environments. 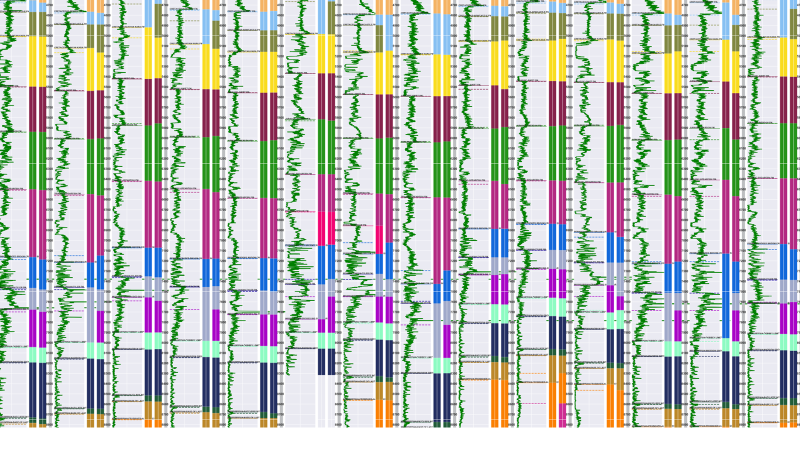 dataVediK recently demonstrated a workflow to predict formation tops by applying artificial intelligence and machine learning techniques to learn the well logs signatures. This deep learning model provides high quality predictions to aid the geologists in picking lithology markers consistently and in an accelerated fashion thus boosting their operational efficiency. The self-learning model, which is a unique differentiator of dataVediK, encompasses the detection of outliers and data quality issues and their subsequent validation and suggested corrections to improve the quality of data in an automated fashion during the model training process. As a result, the model learns from good data only and delivers results with unparalleled accuracy which makes it very appealing to not only the end-user Geoscientists, but also to the data management groups and the decision making executive stakeholders. The map image on the top left shows the location of all the wells in the Sanish Field in North Dakota with model training wells highlighted in yellow color and test wells highlighted in red. The boxes in the center show the various performance measures of the model including the percentage of the tops predicted as well as R2 to demonstrate the “goodness” of the model.